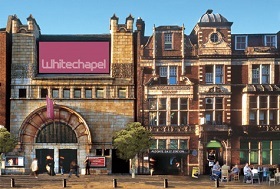 Nestled between the City and Docklands, Whitechapel provides a lively and cosmopolitan corner of London. Commercial and residential buildings stand shoulder to shoulder in an area of London renowned for its wholesale rag trade and buzzing Asian Community. Streets off the famous Brick Lane, boast tall Georgian town houses and a location close to the best curry houses in London. New developments and warehouse shells are readily available, many now being touted as live / work units. The crossrail extension set to open in 2017 is attracting interest from investors and first time buyers alike, prices up until now have been considered cheap in comparison to neighbouring Bethnal Green and Spitalfields. "Whitechapel provides a lively and cosmopolitan corner of London."